General Sir Ivo Vesey KCB KBE CMG DSO. 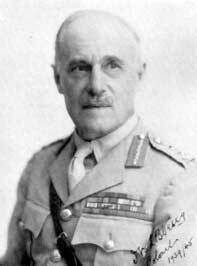 He was born 11th August 1876, the second son of Major General G H Vesey, and educated at Wellington College and Sandhurst. General Vesey was commissioned into The Queen’s Royal Regiment in February 1897 and served with them in South Africa from 1899 to 1901. An early task of his was to carry out a reconnaissance to try and discover the fate of the armoured train which the Boers had captured and from which the young Winston Churchill had been taken prisoner. He was later severely wounded. After attending the Staff College, Camberley, in 1911 he obtained Staff appointments of increasing importance and finished the First World War as Deputy Director of Organisations at the War Office. 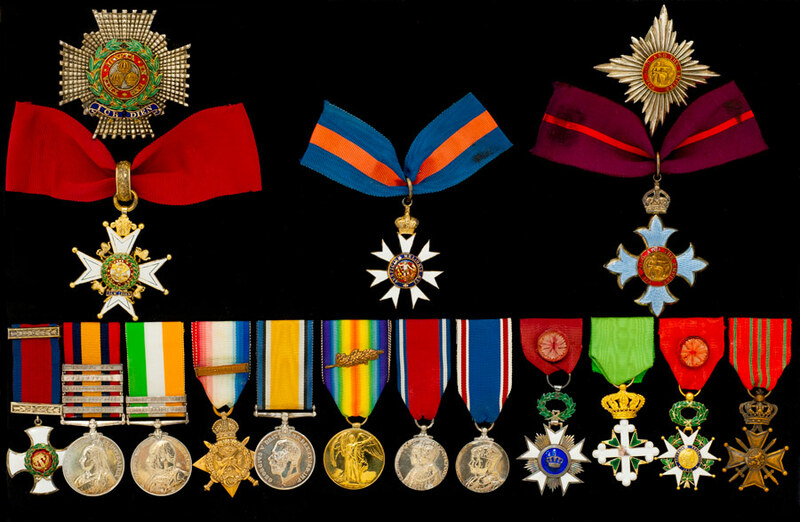 In 1923 he was loaned to the Royal Air Force as their Director of Organisations and Staff Duties and was given the temporary rank of Air Vice Marshal. In 1935 he went to India where he finally became Chief of the General Staff until his retirement in June 1939. In the Second World War he served as a Battalion Commander in the Home Guard as well as becoming Colonel of The Queen’s Royal Regiment. He died on 19th February 1975, age 98.